Defy gravity and get a 24K glow. 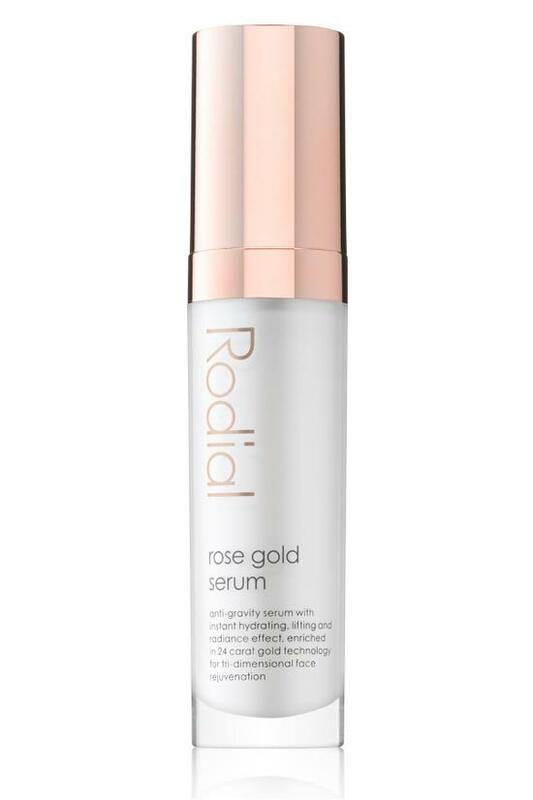 Bathing skin in 24K radiance, this anti-gravity rose gold serum from Rodial instantly lifts contours and smooths horizontal and vertical wrinkles with next-gen 24-carat gold tech. Lasting lift and smoothing action gets better and better over time. Aqua (Water), Glycerin, Adipic Acid/Neopentyl Glycol Crosspolymer, Sodium Hyaluronate, Maltodextrin, Phenoxyethanol, Benzyl Alcohol, Helianthus Annuus (Sunflower) Seed Oil, Carbomer, Xanthan Gum, Macrocystis Pyrifera Extract, Sodium Hydroxide, Parfum (Fragrance), Dimethicone, Mica, Disodium EDTA, PVP, Rosa Alba Leaf Cell Extract, Ethylhexylglycerin, VP/VA Copolymer, Hydrolyzed Vegetable Protein, Dehydroacetic Acid, Amodimethicone, Hydroxypropyl Methylcellulose, Caprylyl Glycol, Limonene, Swertia Chirata Extract, Triethanolamine, Chlorphenesin, Alpha-isomethyl Ionone, Tin Oxide, Potassium Sorbate, Citronellol, Sodium Benzoate, Dextran, Hydrolyzed Wheat Protein, Trifluoroacetyl Tripeptide-2, Gold, Silica, Acetyl Heptapeptide-9, Colloidal Gold, CI 77891 (Titanium Dioxide), CI 77491 (Iron Oxides).